Bank of America beat expectations with first-quarter earnings results of $0.70 per share and record profits of $7.3 billion. The bank brought in earnings per share of $0.70, beating analyst expectations of $0.66 per share. Global markets: Net income of $1 billion, down 26%. Trading revenues dropped 13% to $3.6 billion, excluding adjustments. Equities fell 22% to $1.2 billion and FICC fell 8% to $2.4 billion. 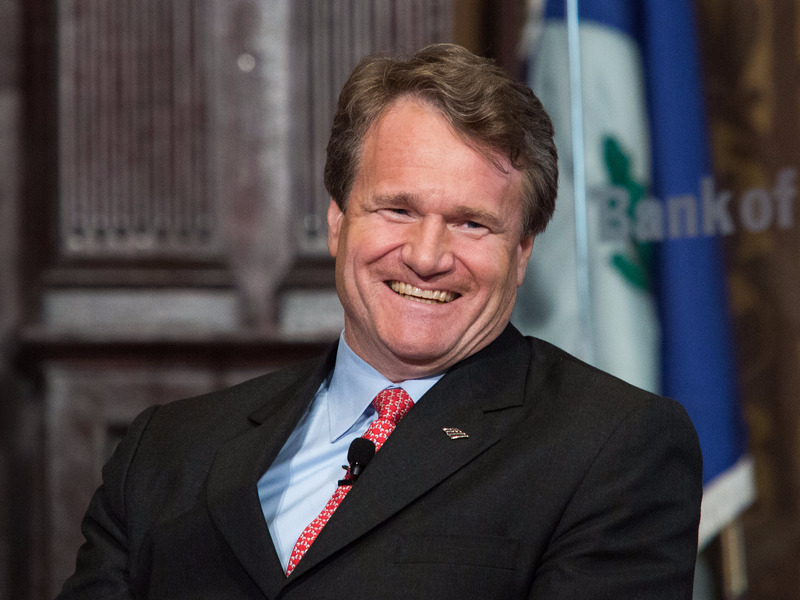 "Our diverse business mix and commitment to responsible growth drove record quarterly earnings," CEO Brian Moynihan said. "Economic growth and consumer activity in the U.S. continue to be solid, businesses of every size are borrowing and driving the economy, and asset quality is strong"